For the past 20 years we have partnered with the Amity Foundation in China to provide foster families, medical assistance, school fees, and grandmas for the orphans who remain. Your support does so much to enrich their lives. Please scroll down to see our 2017 Appeal Letter and how your donations help. For even more detailed information about our programs in China contact Aileen Koger. Thank you for reading, we hope it has inspired you to donate to our Orphanage Assistance fund. You may also send a check to the address above. Please let us know if this is for any specific project, or if this is made in honor or in memory of anyone. 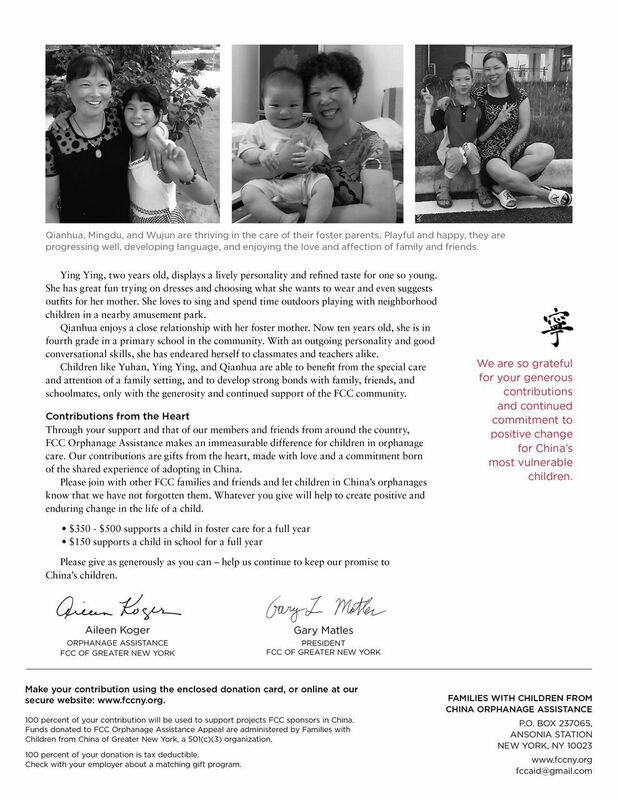 Please select whether your donation is to fund our work in China, or FCCGNY's work as a whole. You will be guided through our secure website payment system. Your donation is 100% tax deductible. Check to see if your employer can match your donation. 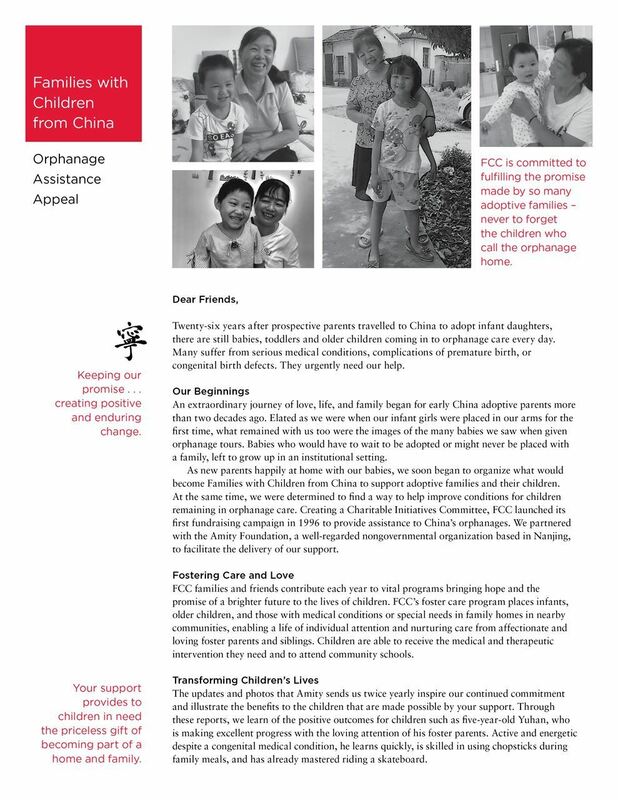 Your entire donation to the Orphanage Assistance Fund will be used to support projects FCC sponsors in China.